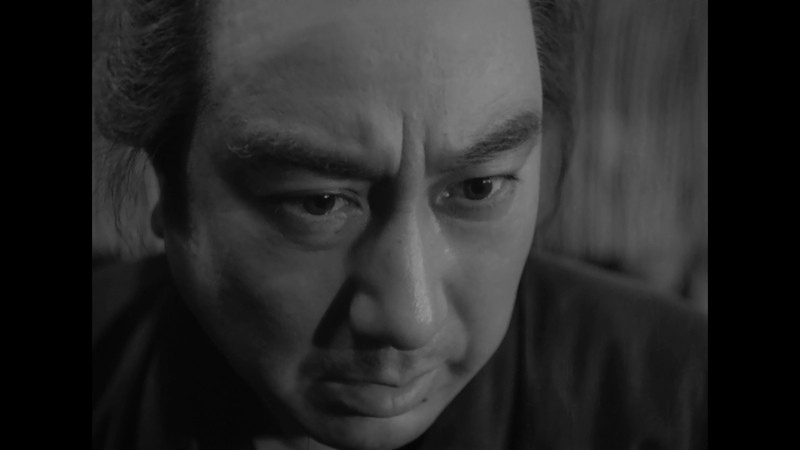 A small village is all it takes for a samurai master to see the waste of a strict caste system. It’s a village of interesting and intersecting personalities, living their lives based on hierarchy. Everyone is an individual though, worthy of respect. 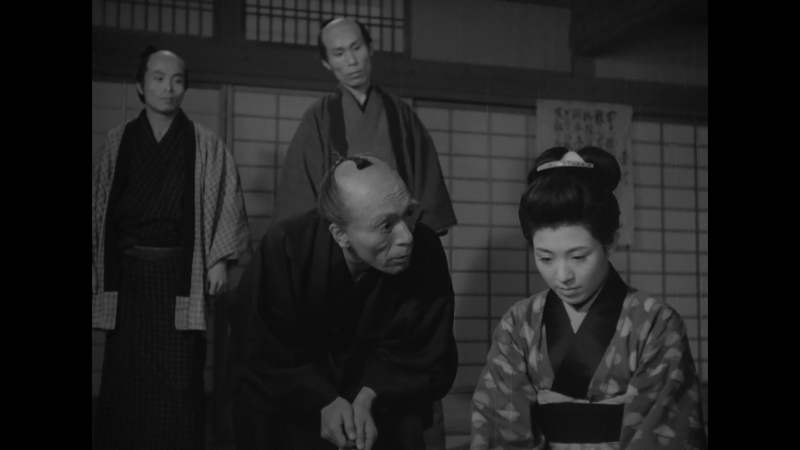 It’s a powerful message, and a break from samurai cinema often composed for their violence. Bloody Spear at Mount Fuji is playful, even calming. The historical lore offers a compelling peek at the legend of Japanese sword masters. Rare does a film mix tragedy and comedy with such success. 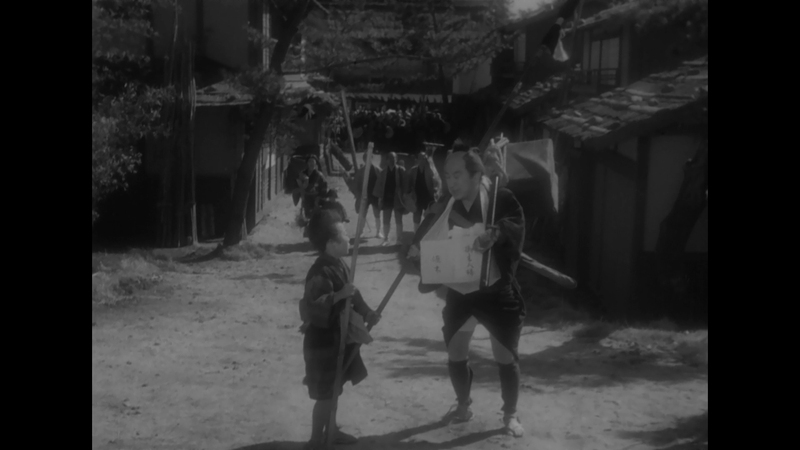 While a spear carrier interacts gleefully with a young, orphaned boy, a woman is sold into prostitution. During a nighttime of comical, errant sake drinking, a thief finds his victim. 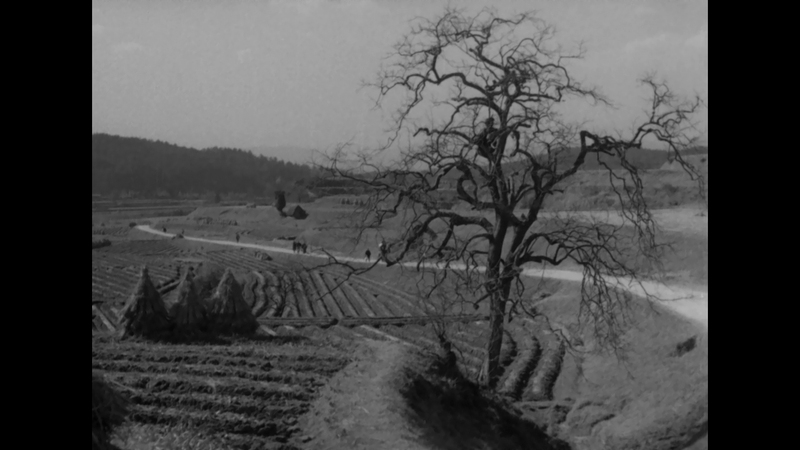 Rather than protect the town from impending invasion as with Kurosawa’s Seven Samurai, director Tomu Ochida’s Bloody Spear at Mount Fuji take the opposite approach – samurai save a town from itself. 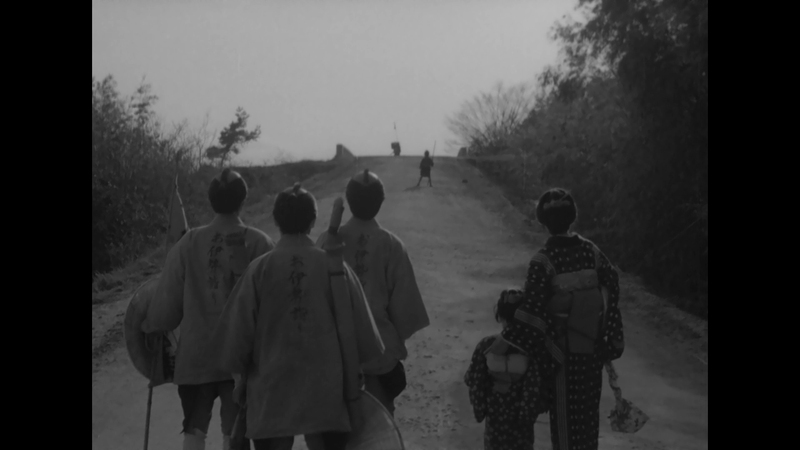 In passing on their way to Edo, the samurai clean up the town, pushing out vagrants and clashing with those trading women for coin. 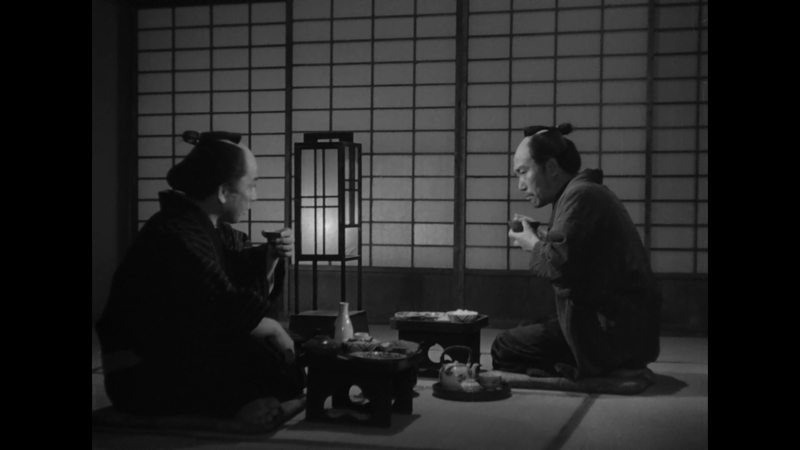 On their travels, the samurai stop as a tea party is held for elites on the side of the road. For respect, lesser travelers wait before passing. No one gets through – even a sick child in need of treatment, purely so those in the upper hierarchy can sip from expensive cups. Bloody Spear at Mount Fuji slowly breaks down the ludicrous system that (literally) holds some back and raises others. 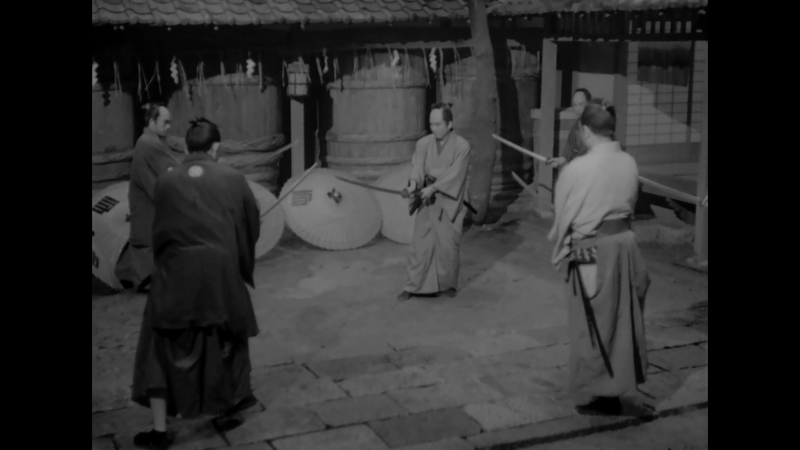 In the climax, the head samurai lets his jovial spear carrier sit at his table for a drink. Another group takes offense to the ideal of equality. They fight, of course. What follows is one of the lone action scenes, a choreographed stand-off that ends in tragedy, leading a memorable final shot of a child frustrated when he’s not allowed to serve someone else. 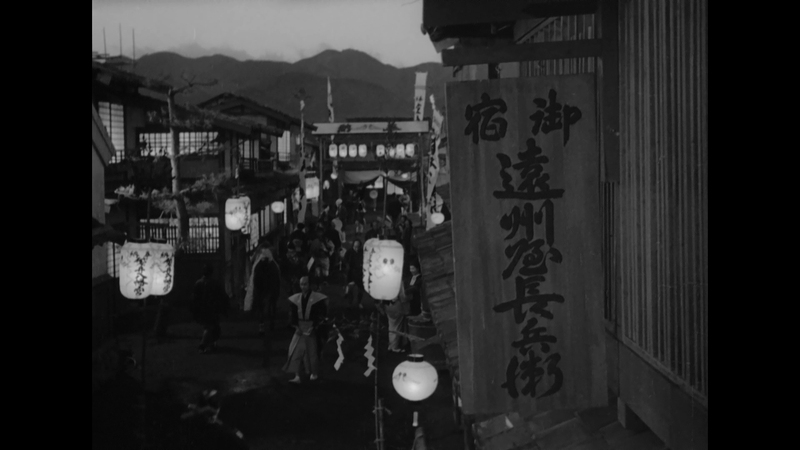 Using popular cinema as a platform, Ochida breaks down social pillars, exposing them for their ignorance and their audacity. 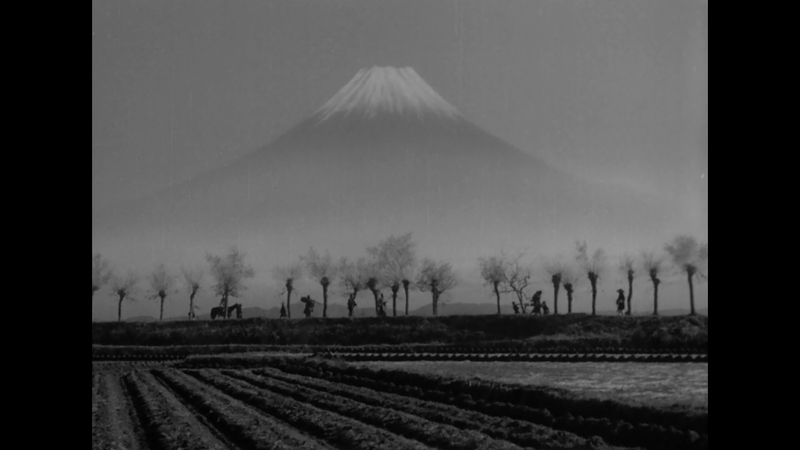 While people no longer stop and wait for a king to finish tea (one can imagine the resulting road rage), the idolization of celebrities or the rich helps Bloody Spear at Mount Fuji retain relevance. Society changed. Japan changed. Yet, the way these samurai lived still holds an equivalent. 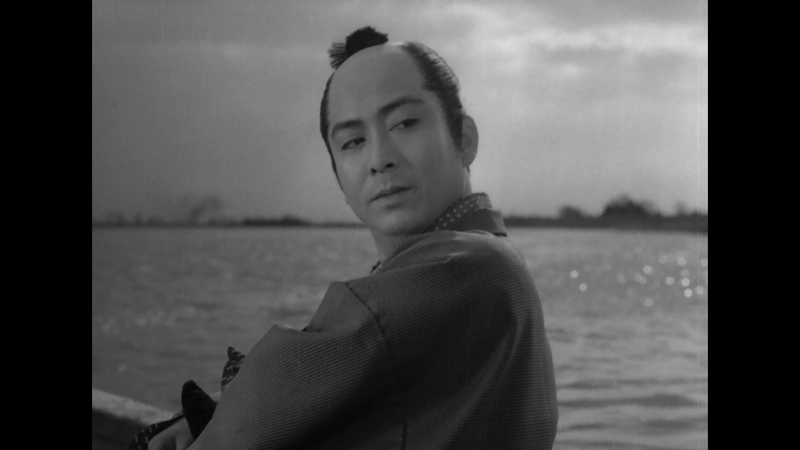 At least Bloody Spear at Mount Fuji is on Blu-ray. That’s the net positive of this release. Otherwise, there’s little to praise. Much of this video presentation looks sourced from a DVD, compression and all. Artifacting is evident for the full runtime, showing up as mosquito noise, banding, or general blotchiness. Detail exists only on the source print, because nothing sprouts from the disc. Pitiful resolution softens Bloody Spear at Mount Fuji, leaving it dull and lifeless. Scratches and specks on the print show age, at the worst an often consistent scratch down the right side of the frame. Gray scale moves from excellent to dry in a matter of frames. Flicker doesn’t help. Black levels add shadows on occasion, wonderful during a nighttime festival as a mother and daughter perform, then falling to a murky gray with the next edit. 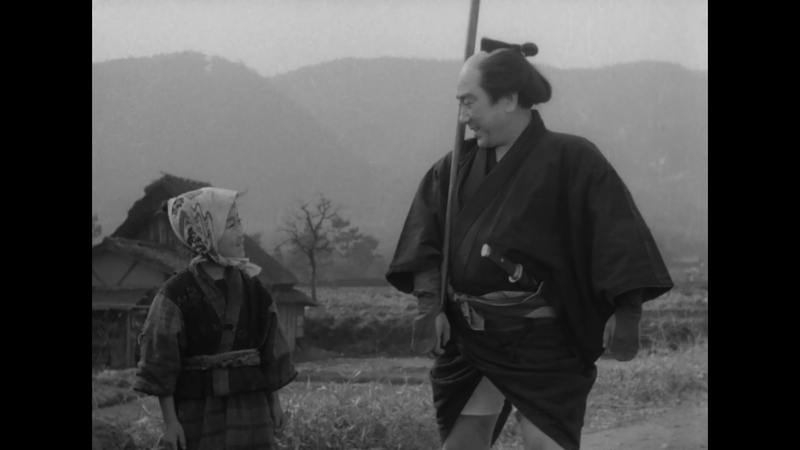 Excusing age and the boutique nature of this release, Bloody Spear at Mount Fuji still comes off as middling and sub-par. PCM mono is the choice here, and a suitable job for a rough source. Expect damage by way of skipping and popping on a handful of occasions. Scratchy highs, especially as people yell, gives age to the source. While not much in the way of dynamics, the score is pleasing in terms of fidelity, even clarity. Low drums strike with pure bass. Balance keeps the Japanese dialog tight even when against action or music. Jasper Sharp delivers a detailed commentary, followed by two interviews. 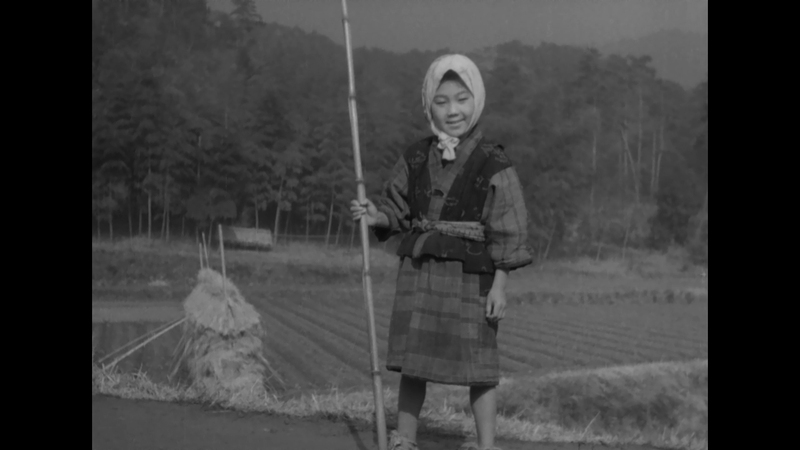 The first with director Tomu Uchida’s son runs 52-minutes, focused on his father’s full career. A publicist for Bloody Spear at Mount Fuji’s home studio Toei, Kazunori Kishida, runs 13-minutes. French film critic Fabrice Arduini then speaks on Uchida’s work for 27-minutes. It’s a fine slate of bonuses and an entry point for those looking to delve into Uchida’s career. 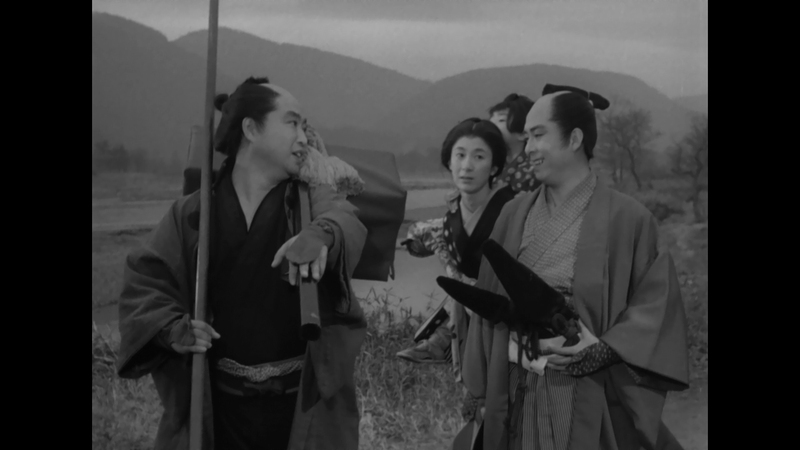 Bloody Spear at Mount Fuji uses the traditional samurai movie for a statement on social equality, doing so with a fun and dramatic script. The 15 unaltered images below represent the Blu-ray. 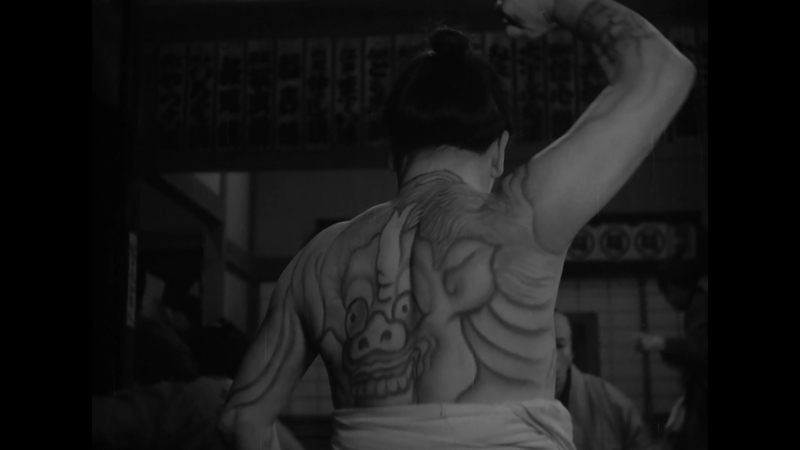 For an additional 14 Bloody Spear at Mount Fuji screenshots, early access to all screens (plus the 14,000+ already in our library), 50+ exclusive 4K UHD reviews, and more, support us on Patreon.